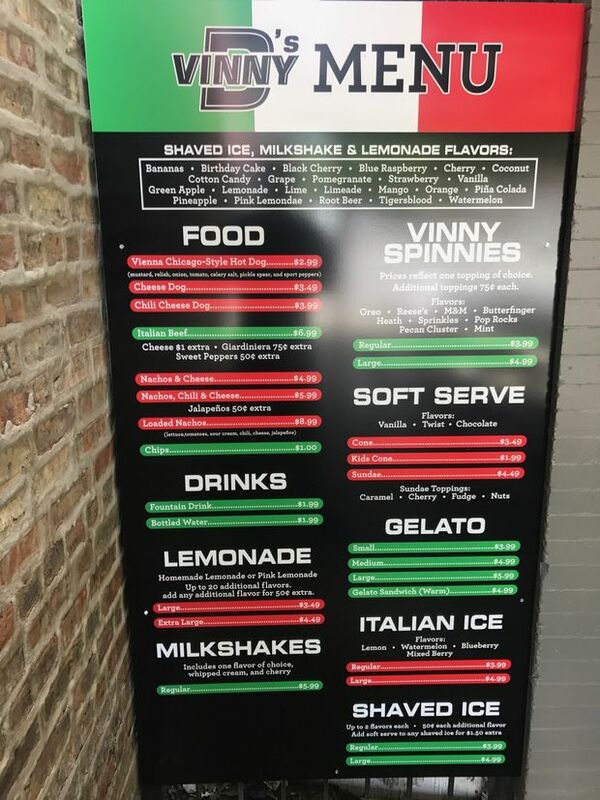 WICKER PARK — True to their goal of opening the long anticipated Vinny D's by this weekend's Do-Division street fest, the DeTommaso and Czapla families behind the casual Italian restaurant have announced a grand opening celebration for Thursday. 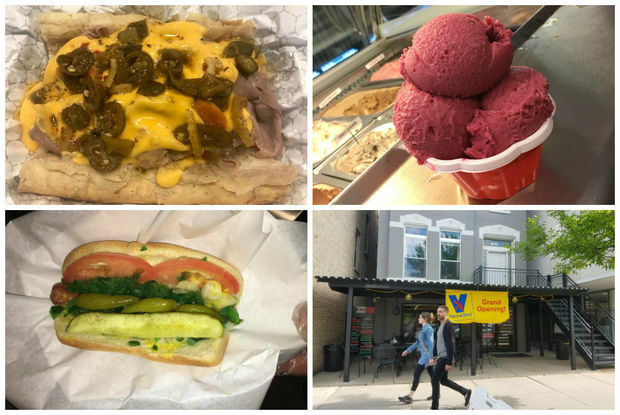 Located at 1709 W. Division St., Vinny D's offers several flavors of shaved ice, gelato, and soft serve ice cream, plus juicy Italian beef sandwiches smothered in cheddar cheese and Chicago-style Vienna Beef hot dogs and chili dogs. There is also a walk-up window for those with dogs and strollers, or just wanting a quick to-go meal. In addition to eight seats inside, a covered sidewalk patio offers a smattering of tables. Though hours have been 11 a.m. to 11 p.m. daily since a soft opening last weekend, co-owner Derrick Czapla said that the plan is to extend summer hours until midnight, hopefully within the next couple of weeks. Fans can stay updated by checking out Vinny D's Facebook page. The restaurant took over a 1,700-square-foot apartment on the ground level of an 1880s building that was long painted a unique mix of bright pink and purple. The paint was updated recently to a more subtle gray. The father-in-law of Czapla's business partner Vince DeTommaso owns the building and left the ground-floor empty for at least 15 years, according to Vince's wife, Renee DeTommaso. "It was time to do something with [the space]. Division Street has changed," Renee DeTommaso said on Tuesday while greeting customers at the front counter with her daughter Sabrina DeTommaso. Vinny D's draws its name from the owners' names. "He's the Vinny and I'm the D," Czapla said. Czapla and his wife Lucy live in Schaumburg and the DeTommasos commute to Wicker Park from Kildeer. The business partners know each other from working in real estate industry together. Reception to the food was positive during the first few days of business, according to Czapla.